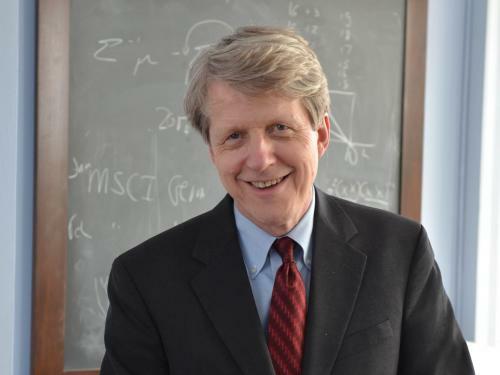 New Haven, Conn. — Yale University will offer a new “Financial Markets” course  taught by Professor Robert J. Shiller on Coursera, an online education platform, on Friday, June 30. Shiller, a Nobel Prize-winning economist who co-developed the S&P CoreLogic Case-Shiller Home Price Indices, shares his knowledge of financial markets via this free, massive open, online course on Coursera. The previous edition of “Financial Markets,” launched on Coursera in February 2014, had more than 200,000 people enroll in the course from over 80 countries. Nearly 80% of learners lived outside of the United States and approximately 60% of learners were continuing their education beyond their Bachelor’s or advanced degree. Shiller worked with Yale’s Center for Teaching and Learning (CTL) to create a course format for online dissemination. The course’s format features discussions with students, technical questions reviewed by Shiller with a teaching assistant, and quick definitions of key concepts explained by a teaching assistant. It will also include quizzes, lectures, and interviews with notable guests: Roger Ferguson , Lei Zhang  and more. Anyone can create a free account on Coursera to enroll in the course and watch videos. Learners who wish to earn grades and receive a Course Certificate upon completion will need to purchase the course for a small fee, or apply for financial aid. Yale University established the Center for Teaching and Learning in 2014 to support students and faculty across the campus. The CTL fosters excellence in teaching and learning at Yale by providing teaching consultations and resources, tutoring support for student learning and writing, global digital education opportunities, advancement grants to faculty and graduate students, and a host of other initiatives that promote Yale’s teaching mission. The CTL is responsible for Yale’s online course initiatives with 18 courses and one specialization on Coursera.org .